Sin is not only Transgression against the Law [1John 3:4] and the Lord [Psalms 51:4], but also against our Land [Leviticus 18:1-5;22-28]. The Lord had given Israel a land flowing with milk and honey, but it was also a land filled with pollution and practices of the vile, perverted pagans who had inhabited the land. The Lord told His people to destroy these pagans and to rid the land of the pagans and their practices, and for the most part they did so. When they had conquered and settled the land they had a wonderful and pure place to live and to raise their children, free from filth and vice. The Lord had ordered them not to disobey His Word and Sin, because in doing so they would once again pollute and defile their land. 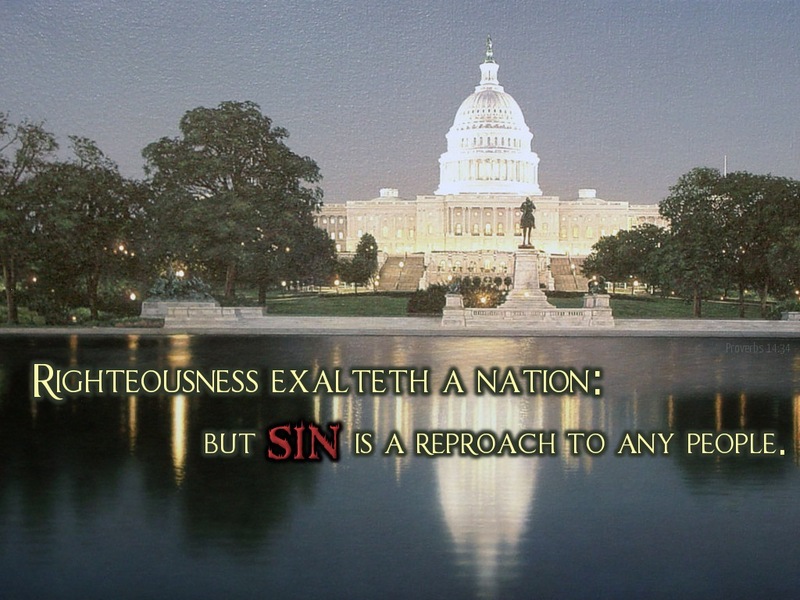 Sadly, they did not heed the Lord’s warning, and in later years the land once again became a cesspool of iniquity. They had sinned against the land as had the pagans that had inhabited the land before them. This sin would cause the Lord to shut up the heavens and cut off the former and latter rains, creating droughts and barren land where there had once been green pastures and bountiful crops. This sin would bring disease and plagues where there once had been health and longevity of life. This sin would bring war and the land would be forced to drink the blood of its people as well as it foreign foes. They had sinned against their land. This entry was posted in AMERICA, Christian Living In Todays World, CHURCH LEADERSHIP, Comments On Crucial Current Issues, FAITHFULNESS, GOD'S JUDGMENT, JESUS, JUDGMENT, PASTORS, PATRIOTS, PRAYER, REVIVAL, SALVATION, SATAN, SIN, THE BIBLE, THE CHURCH, THE HOMOSEXUAL MOVEMENT, TRIALS and STORMS. Bookmark the permalink.